Almonds are a rich source of vitamin E, containing 26mg per 100g. They are also rich in dietary fibre, B vitamins, essential minerals and monunsaturated fat. One of the two 'good' fats which potentially may lower LDL cholesterol. Almonds feature in many of our biscuits, and are great in wholegrain pastry. When 10-20% ground almond are used in a pastry or cracker recipe, less oil is required. Almonds are delicious as nutbutter, or simply eaten whole. Children generally enjoy them in their lunch boxes. Toasted almonds are delicious spinkled over salad or steamed vegetables. 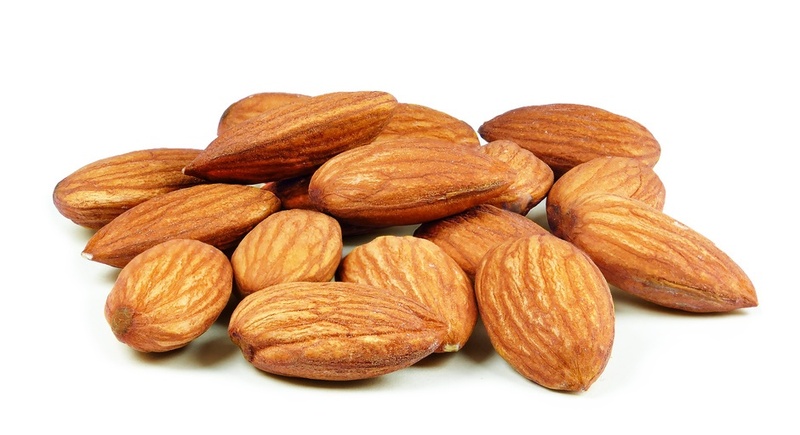 Almonds contain around 20% carbohydrate, 50% fat, and 22% protein. These natural oils in the almond are very healthy.